rosenjit Roy Choudhury and his three partners are happy men. 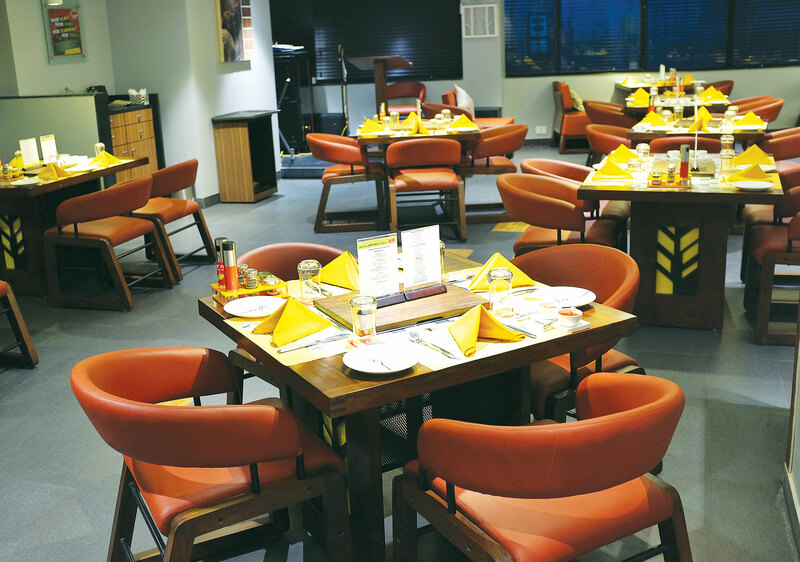 Even before Absolute Barbecuesa��A� (ABa��s) launch in Chennai, customers from Bangalore and Hyderabad spread the word to friends in the city, ensuring the restaurant on GN Chetty Road operated to full capacity throughout opening weekend. And a rather wet weekend at that. 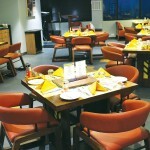 Located on the third floor of Tower Victorie near Accord Metropolitan, this 160-cover restaurant offers a live grill on your table a�� something patrons of Barbeque Nation will be more than familiar with. But therea��s not too much ground to compare, for ABa��s stands out with a Wish Grill, plenty of custom sauces and a dangerously large dessert line up. The meal here is certainly not designed for the small eater. 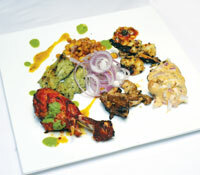 One starts with six vegetarian and non vegetarian starters each on the live grill, of which items like the American cheesy potato and chicken teriyaki make sure you ask for seconds. If you manage to be moderate, the Wish Grill is next, where you choose from a�?exotica�� meats (emu, rabbit, shark, quail, octopus, duck, etc), pair them with sauces (mango mustard, Hawaiian coconut, hot & spicy Jamaican, etc) and herbs of your choice and have them tossed on to a Mongolian grill. 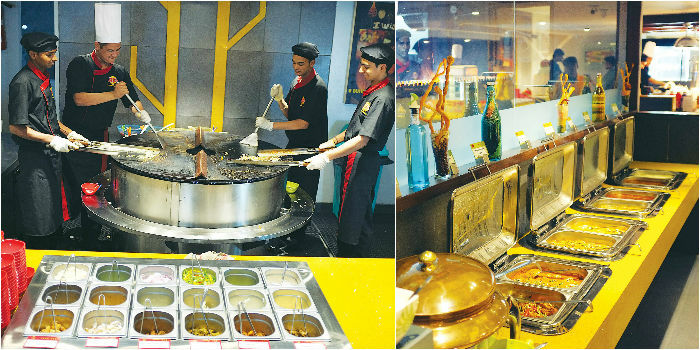 Resist the temptation of trying out all the meat and sauce combinations possible, and you are then faced with the buffet a�� biryanis, curries, Indian breads and soups, followed by a spread of desserts with warm gulab jamuns, shahi tukra made a la minute, phirnee, cheesecake, strudel, pudding, pastry and even cold stone ice cream! Topping all this off, is ABa��s team of waiters, whose motto is to pamper, not please. 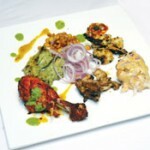 The chef does his rounds enquiring about spice levels, while your waiter makes sure you dona��t skip a single course. The only sore point is the reception and elevator that divides the restaurant into two, resulting in customers having to walk past the reception every time they want to head for a refill from the buffet. Speaking of reception, this is where ABa��s retails barbecue equipment and accessories (smoking chips, coal, lighters, etc) from Belgian brand Barbecook a�� something enthusiasts will be happy about. And while wea��re told that OMR might be the branda��s next target in the city, their immediate expansion will be to Dubai, in December.